Haley Walsh – Got 99 problems but doc gen aint one! 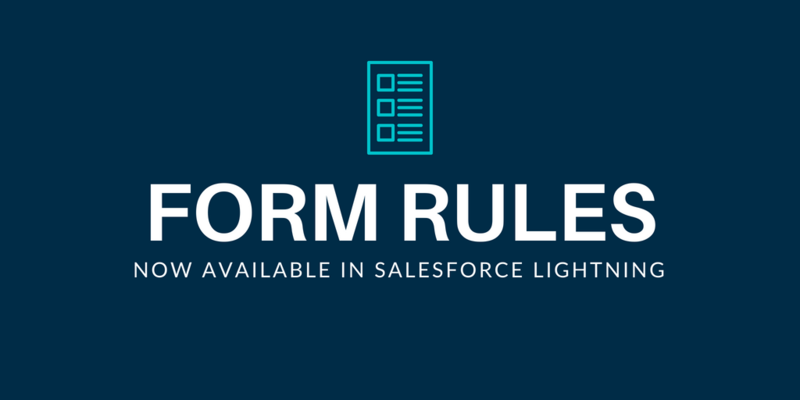 Form Rules Now Available in Salesforce Lightning! The newest release Nintex Drawloop Document Generation supports using Form Rules in Salesforce Lightning! You will need to use the Classic run experience, meaning the document generation process needs to be triggered via a button or link click. Sorry, Lightning Component users. For more information, check out the Release Notes. 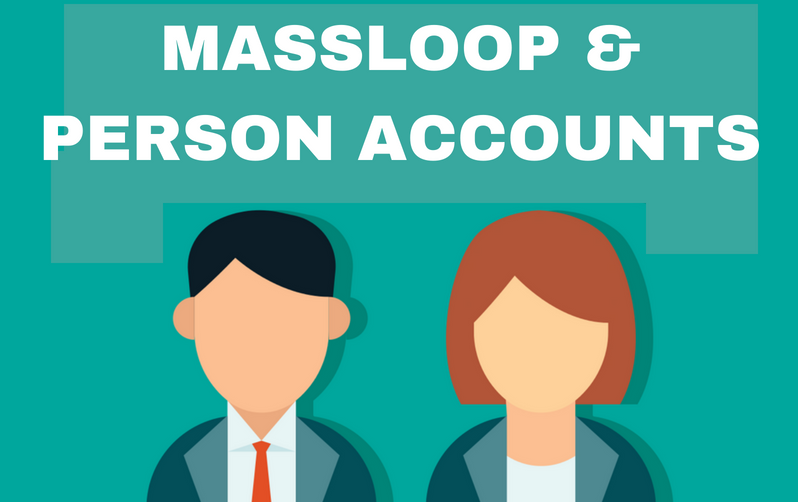 The MassLOOP button requires you to specify a Contact Id for the &contactfield= parameter but Person Accounts leverage Account Ids rather than Contact Ids. 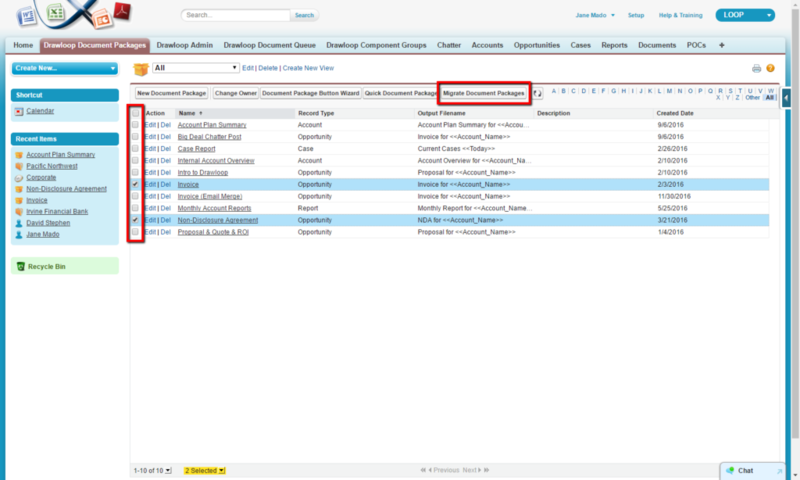 If you are generating the document from the Person Account record, use PersonContactId . If you are generating the document from a custom object, reference the Person Account look-up field beforePersonContactId . Use the table below to identify which replication combinations you can use in your template file. If the solution above does not resolve the issue, it may be due to restrictions that are set by the font provider. This typically occurs if the font is licensed. In this case, we recommend reaching out to Nintex Support for additional assistance and possible workarounds. 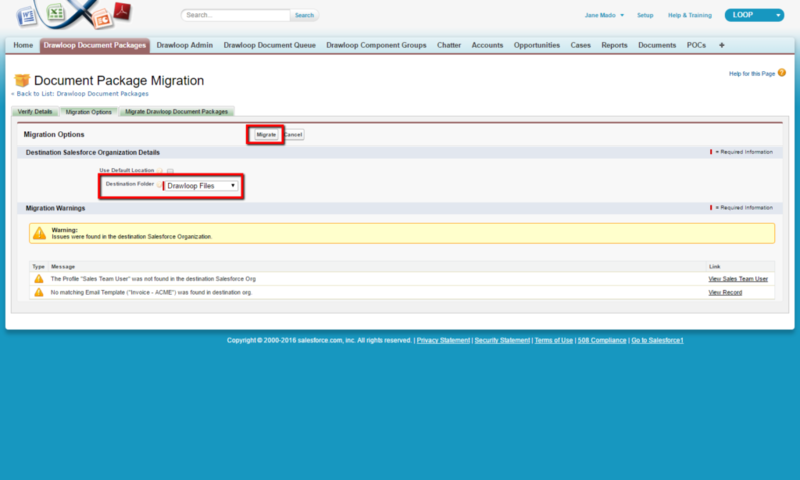 The migration wizard makes the administration process so damn easy in Nintex Drawloop Document Generation. 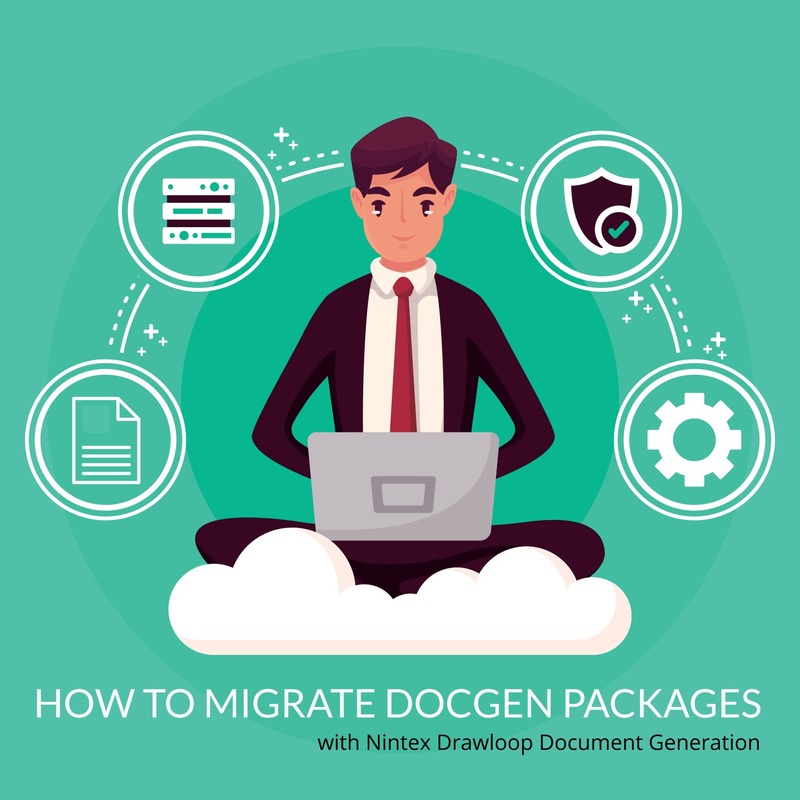 It allows DocGen Admins to quickly and easily migrate existing DocGen Packages from one Salesforce org to another with just a few clicks of a button. Easily migrate DocGen Packages from one org to another. Sandbox, Production, Development, Demo… No relationship between orgs is necessary. Less chance of errors. You don’t have to worry about forgetting to configure Advanced Optional Documents. Everything configured in the DocGen Package is recreated in the destination org. Receive a warning for any custom Salesforce reports or custom fields referenced in your DocGen Package that aren’t created in the destination org. As a partner, create standardized DocGen Packages in your demo org that you typically create for customers. Now you can migrate those DocGen Packages to your clients orgs, make a few tweaks, and you’re done! 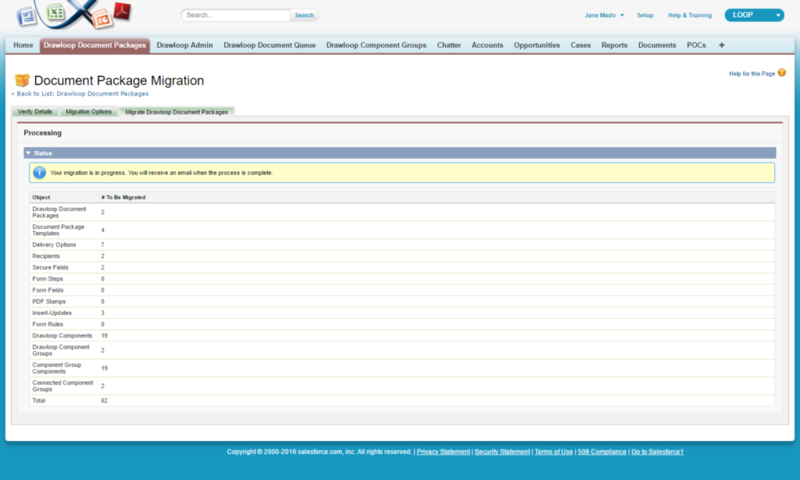 Custom fields, Salesforce reports, Salesforce email templates, and other Salesforce configurations are not migrated. You will need to re-associate org-wide emails, form field defaults, and email templates once migration is completed. 1. Navigate to the DocGen Package tab. 2. 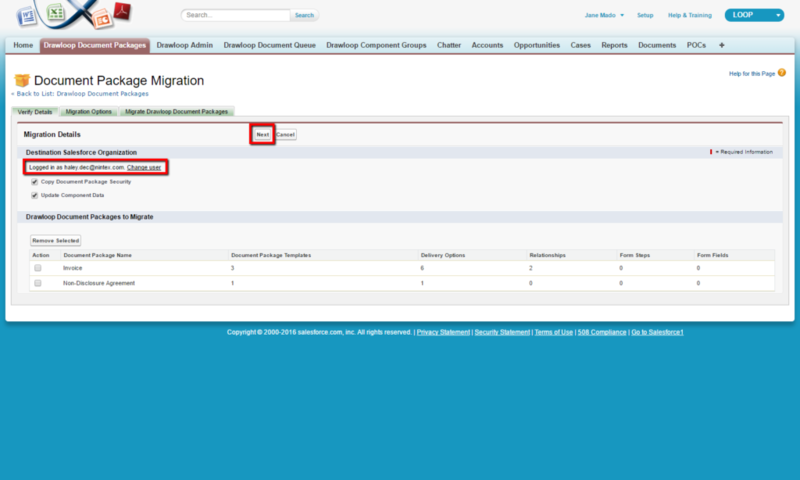 From the list view, check-mark the DocGen Packages you would like to migrate. 3. Click the ‘Migrate DocGen Packages’ button. 4. 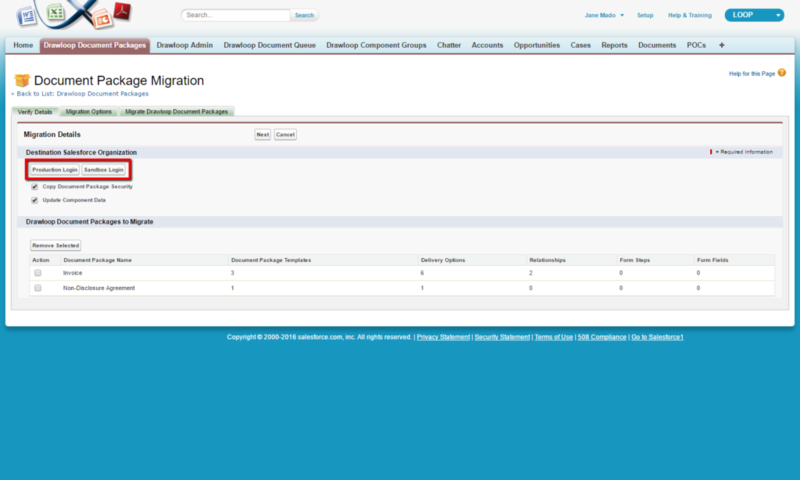 Under the ‘Destination Salesforce Organization’ section, select Production Login or Sandbox Login. 5. 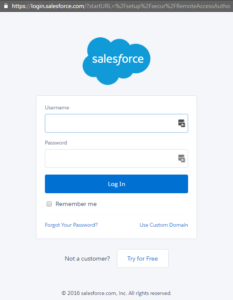 A pop-up window will appear to log into the destination org, enter your credentials to the Salesforce org you would like to migrate the DocGen Packages into. Click the ‘Log In’ button. 6. You’ll be taken back to Salesforce after entering your credentials. Ensure the log in user is correct. Then, click ‘Next’. 7. Next, select the location you’d like to store the template files in. Also, review the Migration Warnings section for any issues. Once complete, click the ‘Migrate’ button. 8. The migration of your DocGen Packages will begin processing. 9. 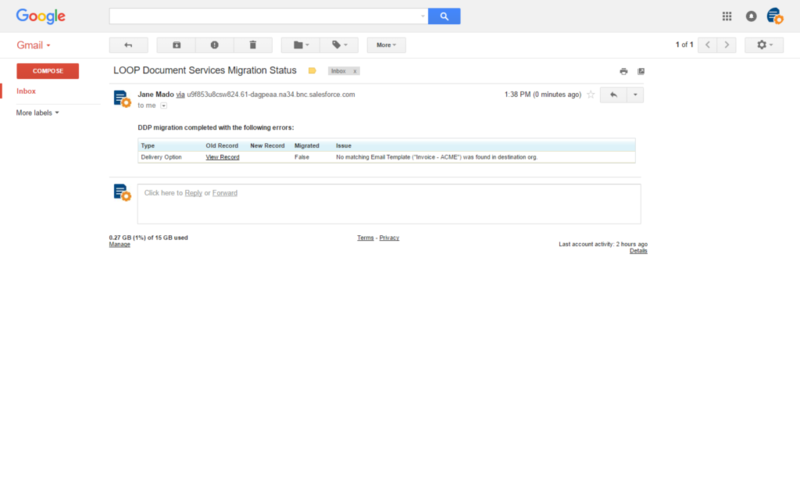 Once the migration process is complete you’ll receive a confirmation email. You’d like to configure a file to only be included in the document generation process if multiple criteria are met. For our example use case, we will only want to include the template file if the Client Type field value is ‘Prospect’ and the Industry field value is ‘Banking’. 1. Navigate to your DocGen Package. 2. Click the gear icon for the template file you’d like to add the advanced optional document filter on. 3. Set the Inclusion Type drop-down menu to ‘advanced’. 4. Additional fields will appear. Copy and paste the appropriate tags in the Data Field. Do not include a space between tags. For our example, we entered ‘<<Account_Type>><<Account_Industry>>’. 5. Next, enter the values the tags need to populate in order to include the document. For our example, we entered ‘ProspectBanking’. 6. Click the ‘ok’ button. 7. Click the ‘Save’ button. When scheduling your Report DocGen Package, the timezone used is the timezone set for the browser of the person who clicks the “Activate” button. Who is the Generated By user? The user who clicks the ‘Authorize Nintex DocGen’ button in the DocGen Admin tab will be listed as the Generated By user. Who receives the error email notifications? Error email notification goes to the user who clicked the ‘Authorize Nintex DocGen’ button in the DocGen Admin tab. Since Chatter free licenses do not have access to the Contact object, they are unable to send Salesforce emails. However, Chatter free licenses do have access to custom objects. If you are trying to generate a document from a custom object and send to a Contact’s email address, use the SMTP delivery option rather than the Email delivery option. Rather than using “pv0=” to set a Salesforce report filter dynamically with Nintex Drawloop Dcoument Generation, you will need to use &quarter_q=custom which will set the date range of the report to custom. You will then need to use&coldt_s=01/01/2018 and &coldt_e=01/02/2018 to set the start and end date of the Salesforce report filter. 2019 © Haley Walsh. Crafted with love by SiteOrigin.